Most of us say that family is most important to us and that we put them first – but do we? 99% of families have at least one television and a 2012 Nielsen report stated that the average American watches 34 hours of live television per week – along with four to six hours of taped programming. Children engage in six to nine hours of media (TV, phone, computer, video games, etc) every day! 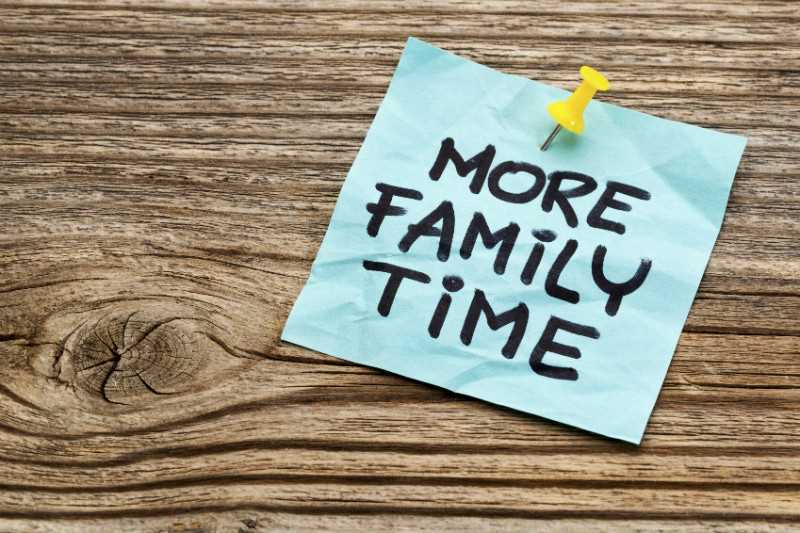 By the time you consider school, work, sports, band and scholastic events, and youth groups, it is hard to figure out how to spend time with family members. But spending time together as a family is important. Research has found that children are better off in terms of academic and emotional well-being from time spent with parents. Family routines and rituals experienced in childhood also set the course for how one will organize their own family life in adulthood. Quality time with parents is important for children's growth and development and it helps children to develop in a positive way as they grow. Sometimes you need to purposefully plan family activities – or be an intentional family. Schedule "My Calendar Day" for each family member. On a specific day of the week, one family member gets to pick the dinner menu, select the TV show or activity to do. Establish family rituals. The more rituals a family has, the better members will work as a team and become stronger as a family. Have lunch at school together. Outdoor activities are especially important – make sure to "unplug." Choose a weekly or monthly Family Night In, where you intentionally spend quality time together.